Our services as business lawyers range from the preventive action to commercial and financial protection for our clients. We provide support in formation and maintenance of corporate status, corporate dissolutions, sale and purchase agreements, legal questions in business operations, and employment issues. We also have capabilities in real estate transaction matters, contract drafting and review, loan documentation, preventive legal advice and legal health checklists. 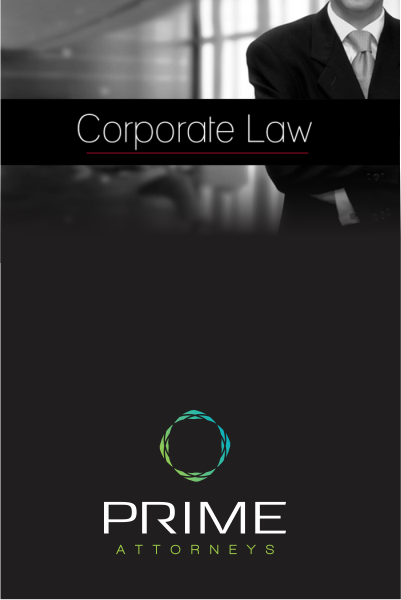 We provide legal services in the areas of legal due diligence, private placements in securities, international trade investment matters, equity, debt and mezzanine financings. We have the capability to facilitate speedy incorporation in Ghana for all Clients and for all forms of corporate entities. 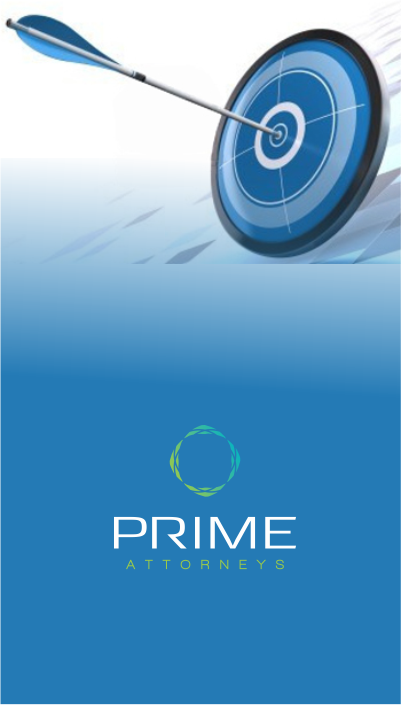 Prime Attorneys provides general corporate advisory services including but not limited to joint venture, corporate re-organizations, regulatory approvals, venture capital transaction financings, acquisitions, commercial contracts and transfer of technology agreements. We also offer advice to issuers and underwriters of securities and offer support in obtaining the appropriate regulatory approvals. We have specialized knowledge of the Ghanaian securities market to support the operations of our clients in Ghana. We also have key competencies in the area of initial public offerings and secondary offerings; venture capital financings; asset securitizations; merger and acquisition; tender offers; restructurings; and recapitalizations. Our work in the information technology area ranges from advising clients (both IT and other businesses) on contracts, reviewing and drafting of service level agreements as well as software and hardware procurement agreements. Advice on legal framework for the storing, collecting and disseminating of electronic information into the global market place. Anticipation of potential sources of dispute and crafting of agreements to reduce risk of litigation. Review of software licensing agreements and contracts. We have significant experience in a wide range of real estate transactions and conveyances such as joint ventures, leases, assignments, subleases and property rentals. Our team is well versed in the property laws, the required background checks and searches and the drafting of the requisite documents. In providing integrated services, our team members fully appreciate the tax dimensions of every conceivable transaction. We investigate the tax consequences and legal implications of every transaction and include our opinion in the mix of advice available to our clients. We have expertise in statutory tax consultation as well as applicable tax treaties or regulatory rules that constitute laws applicable to tax for our clients. We have significant experience and expertise in Ghanaian Natural Resource law and we have advised several international clients seeking to invest in the mining and oil and gas sectors in Ghana. We provide advisory services and negotiate compliance with the relevant laws and regulations governing the mining and petroleum industry in particular. We also represent companies in negotiation of natural resource agreements with Government and support the management of the relationship with regulatory authorities. We provide company secretarial and compliance services through our affiliate company, FIDUCIA SERVICES. We maintain the corporate registered offices of clients, draft compliance codes and policies, and deliver excellent legal and compliance advisory support to the Boards of Directors and Management of several companies in conformity with local laws and international best practices. To afford you a sense of our experience, below is a list of major transactions and assignments on which various members of our team have worked. = Representation of international foreign cement manufacturing company in dispute with major local cement production company in major anti-competition dispute. = Advisory services to shareholders of a an internationally branded 4 star hotel chain in Ghana in respect of various aspects of its franchise agreement and its business activities. = Advisory services to Ghanaian real estate company on corporate restructuring and reorganization. Responsibility for drafting documentation for mergers and intercompany transfers of share and assets. = Corporate advisory services to South African Health Insurance company in respect of establishment of subsidiary in Ghana. Responsibility for negotiating Ghanaian minority shareholding, incorporation of Ghanaian subsidiary and obtaining requisite regulatory approvals. = Appointed liquidator for members’ voluntary winding up of several companies. Responsibility for advising on mode and structure of winding up, drafting all requisite documentation and finalisation of all processes relating to winding up. = Advisory services and set up of, including negotiating the acquisition of land, for major real estate undertaking engaged in the construction of affordable housing. Advisory services on options available to public Insurance corporation in respect of proposed privatisation by Government of Ghana. = Advisory services in respect of negotiating stability agreement with Government of Ghana by Australian mining company. Responsibility for negotiating terms of agreement, drafting agreement and obtaining regulatory approvals for agreement. :: Legal advisors for $100M capital raising through an Initial Public Offering (IPO) by a leading player in the Insurance industry. :: Legal Advisors to a private equity investor on the $10M acquisition of majority stake by a Mauritius company in one of Ghana’s biggest advertising companies. – acquisition of majority stake by French company in a shea nuts fractionation and refinery company in the —– Brong Ahafo Region. :: Legal advisory services to top-rated private equity company on the acquisition of majority stake by a Mauritius company in a large paint manufacturing and exporting company. :: Transaction advisory services together with a local consulting company to advise on the equity and loan investment by a Nigerian subsidiary of a French multinational company for a $32 million cement manufacturing Project. :: Retained legal advisor to private equity firm on the purchase of shares and structured the quasi-equity investment in agriculture-based company by a Mauritius company. # Represented international Telecom Company on the acquisition of majority stake in the third largest national carrier in Ghana. Work included advising on the bid, structure of transaction, negotiating, reviewing and drafting documents and ensuring compliance with all relevant legislation and statutory requirements. # Advised multinational bank in a multi-million dollar transaction for the acquisition of spectrum rights from the Government of Ghana. # Counsel to several telecom companies, advising on mergers and acquisitions, investment in Ghana, due diligence and acquisition of regulatory licenses. // Transaction advisory services in respect of the GH¢21M asset based merger by acquisition of a bank and Ghana’s largest non-bank financial services institution. Responsibility for advising on appropriate transaction structure, preparation of transaction documents including shareholders circular, and obtaining requisite regulatory approval for transaction. // Representation of major foreign Oil and Gas Company in acquisition by private placement of majority interest in Petroleum Products Bulk Distribution Company in Ghana. Responsibility for preparation of all transaction documents and review of regulatory forms and requirements. // Representation of Investment Advisory company in take-over of Ghanaian Investment Advisory and Brokerage Company. Sole responsibility for negotiating terms of acquisition, drafting transaction documents and obtaining requisite regulatory approvals. // Representation of South African company in purchase of majority stake in Ghanaian telecom company. Responsibility for drafting transaction documentation. // Representation of foreign investor in proposed acquisition of a leading aviation & cargo handling company in Ghana. Responsibility also for conducting due diligence. // Advisory services for UK investment advisory firm in respect of the proposed issue of bonds with detachable warrants by companies listed on the Ghana Stock Exchange. // Lead manager of pension fund in excess of £300,000,000 for UK public infrastructure company. // Derivatives implementation for £650,000,000 pacific basin funds at in collaboration with JPMorgan London as custodian to Saudi Arabian confidential institutional client. // Lead and manager of global operation management for the processing emerging market equities and Japanese government bonds trading on the Central European financial exchanges. // Corporate advisory team member for $2million capital raising for Nigerian public company. // Advisory services in respect capital raising in excess of $2million for local client in respect of 5 year national electricity expansion plan. // Acquisition of equity stake in Logistics Company. Responsible for conducting due diligence exercise and drafting transaction documents. ~ Represented foreign investor in acquisition of majority stake in a financial institution in Ghana and conversion of a Micro finance institution into a full banking licence and operations as a retail bank. Sole responsibility for conducting legal due diligence, structuring transaction, negotiating, reviewing and drafting transaction documents and ensuring compliance with all relevant legislative and statutory requirements. ~ Advised on the £25M acquisition of a UK bank by a Ghanaian bank. ~ Advisor to multinational bank on an $80M acquisition in Ghana. ~ Retained legal counsel for several financial institutions in Ghana and advising management and boards on operational and strategy matters, corporate governance and drafting corporate manuals and policies. > Representation of major multinational petrochemical company in bid to supply Tema Oil Refinery with crude oil. > Representation of foreign petrochemical company in bid to provide logistical and related services under the Ghana/Nigeria Government to Government crude oil supply arrangement. > Advisor to major foreign independent energy company in the development of $1BN gas facility in Ghana. > Due diligence and transaction advisory in respect of investment by an Israeli investment company in Mining company. > Advisory services to oil and gas support services company in respect providing offshore waste management services to companies carrying on petroleum exploration in Ghana. > Retained legal counsel to Bulk Distribution company in respect of its business activities in Ghana.